Zero is the hero in this mathematical expedition. But is nought a number? 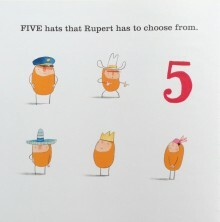 That is the quizzical conundrum proposed in this quirky counting tale by multi-award-winning author Oliver Jeffers. As a horde of Hueys find themselves in various scenarios, they count up to 10. From one blue phone (and a Huey permanently placed ‘on hold’) to 10 trumpeters walking by, each scene is imbued with Jeffers’ signature humour: you’ve got to love the depiction of Kevin and his four daily tantrums, and the precarious human (Huey?) pyramid that could topple at any moment. 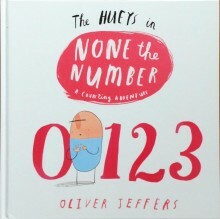 A good dollop of the charm comes with Jeffers’ jelly-bean heroes, the Hueys (who have already starred in The New Jumper and It Wasn’t Me) who are almost identikit, at least until you get to know their characters (a bit like The Minions). You could also argue that they’re not the brightest of sparks, as evidenced by the quizzical looks on their faces as they try to guess the present, but they are all the more adorable for their Mr Bean-ness. Jeffers’ distinctive illustrative style also speaks volumes where words are sparse, and the range of expressions the characters convey is vast: it’s amazing how pinpoint eyes and spindly legs can evoke such a breadth of emotion and comedy. 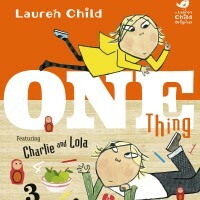 At its most basic, this is a classic counting book, with humorous vignettes thrown in for good measure. But whilst it is great for teaching youngsters number skills from 1 to 10, it also introduces the far more complex concept of ‘zero’ which, as Jeffers points out in an appendix at the back of the book: to a mathematician, zero might be the most important number there is. 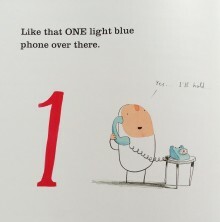 Trust Oliver Jeffers to be championing the unlikely hero! Fun fact The ancient Egyptians and Babylonians had symbols corresponding to zero. The oldest known text using ‘0’ as a digit in a decimal system like our own is from 5th Century India. Ancient Greek philosophers worried about whether zero was really a number – how can nothing be something? 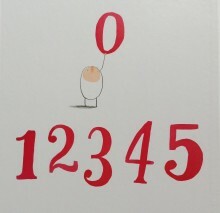 Some even thought that 1 should not quality, claiming 2 as the smallest number. Did you know? Zero is an integer (whole number) and is the only one which is neither positive or negative. The natural numbers, or counting numbers, are sometimes taken to be 0, 1, 2, 3, 4… and sometimes 1, 2, 3, 4… Whether to include zero is a matter of taste and convention. 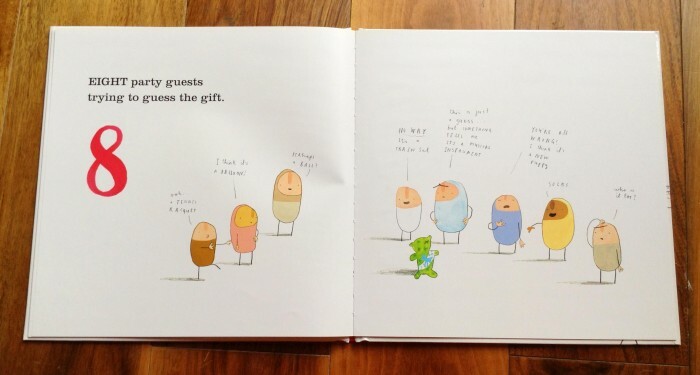 Author notes Born in Australia in 1977, Oliver Jeffers grew up in Northern Ireland. 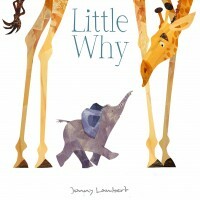 He now lives in Brooklyn, New York and has won countless illustration awards, including the CBI Bisto Award for How to Catch a Star. 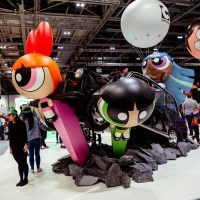 Although he focuses primarily on children’s books, his work has been exhibited at the National Portrait Gallery in London and a collection of his illustrations, Neither Here nor There, was published by art and design powerhouse Gestalten in 2012. The boy and penguin from Lost and Found return in the sequel, Up and Down, published in 2011. In 2014 Jeffers won four new awards, three for his work with The Day The Crayons Quit, as well as The Hay Festival of Literature and the Arts 2014 Inaugural Hay Medal for an Outstanding Body of Work. In 2015, Once Upon an Alphabet won the 25th Children’s Book Ireland (CBI) Book of the Year Award, making Oliver Jeffersj the third author ever to win both the Book of the Year Award and the Children’s Choice award.